Boise's first ever Scout Guide is currently out and circulating through the Treasure Valley. This unique guide highlights the premier, independent businesses and individuals who help make Boise and its surrounding areas inspiring. 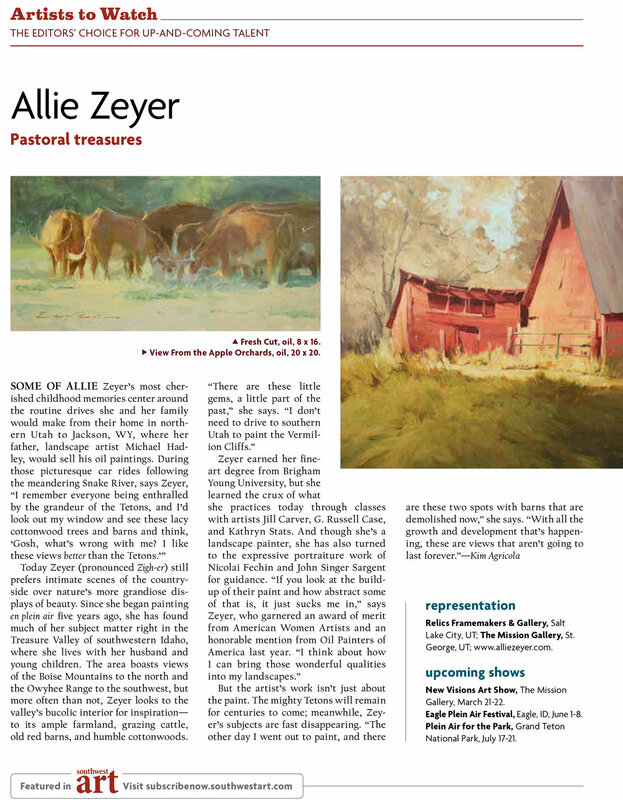 I was thrilled to be part of the local discoveries page! If you're interested in a complementary copy of the guide shoot me an e-mail and I'll send you one. Or stop on by the participating businesses to pick up a copy today. Hop on over to: TheScoutGuide.Com/Boise/ to find out who's participating in Boise's first ever guide! Over 40 artists gathered to St. George, UT for the 11th Annual New Visions Art Show. This was my first time attending the event and I couldn't have been more elated to be surrounded by such top notch artists. We painted over two days, met new faces and walked away with many new best friends. Jane Hunt and I set up shop under some nice shade trees behind The Mission Gallery. I just loved her hat! Jane Bell Meyer and Scott Jones have truly supported and sustained the arts over the past several years. We were in good company with their energy and enthusiasm. I couldn't have been more elated to see these friends from Oregon on the first day at the New Visions Art Show. We know Travis and Kendell Prestwich from our days living in Salem, OR while my husband attended law school. Kendell picked up this little cow study to help remind her of her childhood days growing up on a ranch. Having good friends as collectors makes any show top notch!